This Course is no longer accepting new members. 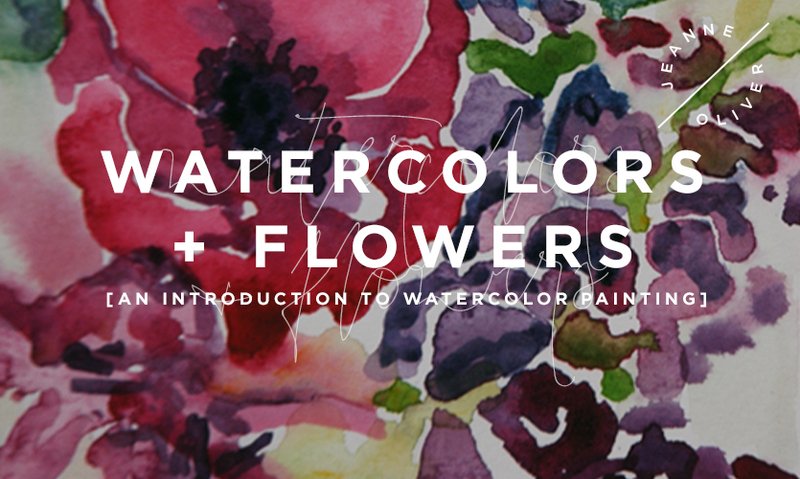 Whether you’ve tried watercolor before or are a complete novice, this course will give you confidence to tackle this beautiful medium. 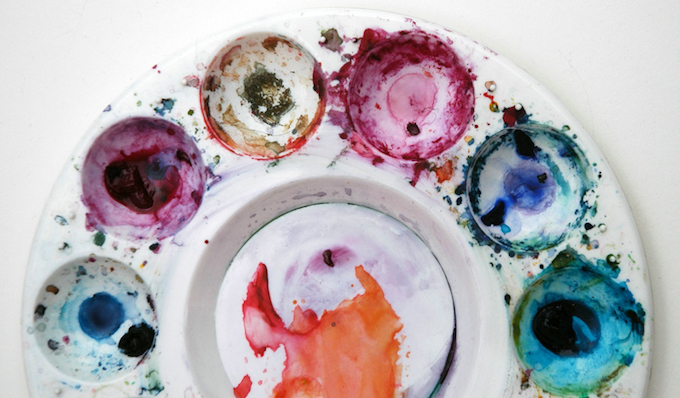 Join Courtney Khail as you begin with basic color theory lessons to get you comfortable with your paints and supplies and then move on to mastering specific techniques and tips you’ll be able to use in all of your future paintings. 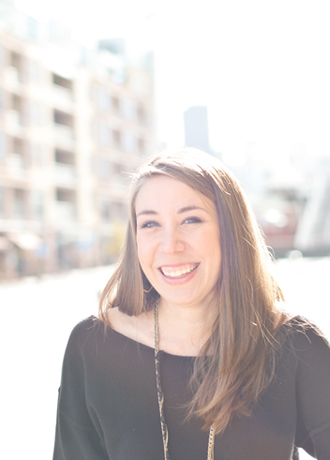 Lastly, you’ll combine all of the lessons learned to create three paintings from start to finish. Brushes: I prefer Royal Soft Grip Golden Taklon Brushes, but feel free to get whichever feels best for you. Brushes make the difference though, so don’t skimp too much! (No one likes a brush where the bristles fall out.) Feel free to get more, but the two I listed below should get you through the basics. A small round brush for details is nice to have on hand too though. – Medium round watercolor brushPaints: You only really need the three primary colors, but I added three extra that can be difficult to mix. 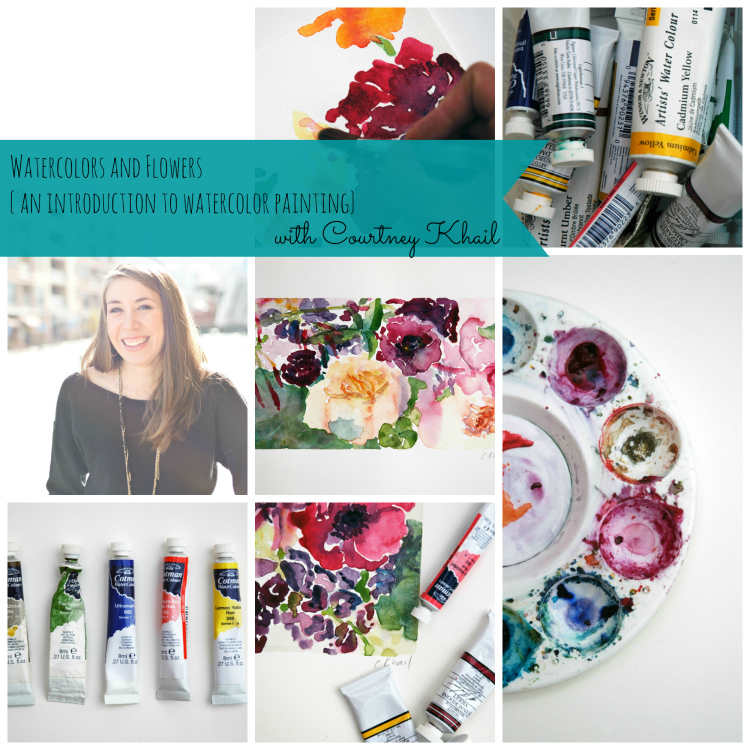 Watercolors and Flowers: Let's Paint! 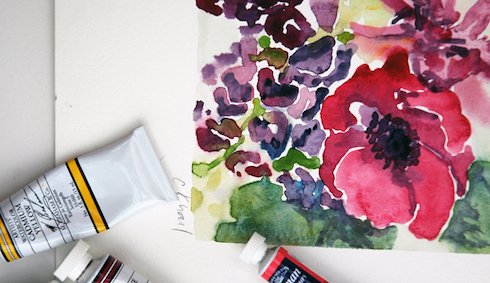 Watercolors and Flowers: Thank You!